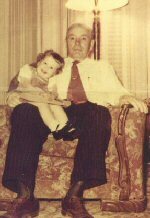 Sherrie Chase-Ryan, daughter of Larry Raile, grandchild of Ernest and Esther Raile, sent me some wonderful pictures of her family. 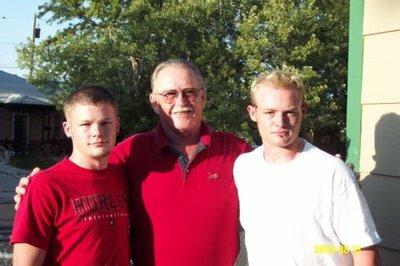 This one is of Larry Raile and his two grandsons Billy and Tom. Sherrie's oldest son, William, and his wife Betty gave birth to Jaelynn Marie Chase on July 13, 2007. Her other son Thomas and his wife Tawny were married last August 10th and recently found out they are expecting. I am trying to get in touch with Sherrie Raile, (daughter of Larry Raile) Chase was her married name. We were best friends in high school and have lost touch. Can you help? 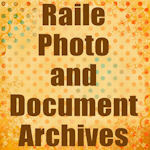 Click here to see large archive of Raile Family photos and documents.